Something decisive changed in 2016 in independent media support. It wasn’t a recognition that philanthropy is important to sustaining independent media. That has been recognized for many years as seismic technological and economic shifts have transformed the advertising markets and eroded the business model of traditional journalism. A small but vital coterie of foundations have been responding to those concerns but at a scale and strategic coherence vastly short of the financial and political challenges besetting independent media both in the West and around the globe. Nor was it a recognition that independent media is under attack. Freedom House and other media defenders have been chronicling the decline in media freedoms around the world for at least half a decade, particularly since the heady days of the Arab Uprisings in 2011. Authoritarianism, populism and media intimidation have been a depressing feature of the last five years at least and many have documented shrinking civic space across the world. What changed was the sudden recognition of just how much independent media mattered and just how weakened democracies had become by misinformation and disinformation. Attempts by Russia and others to influence or undermine the US election and other democratic political processes was one wake-up call. The growing contempt shown to independent media by political leaders in both democratic and non-democratic regimes – including in the US, Turkey, Hungary and Poland – was another. 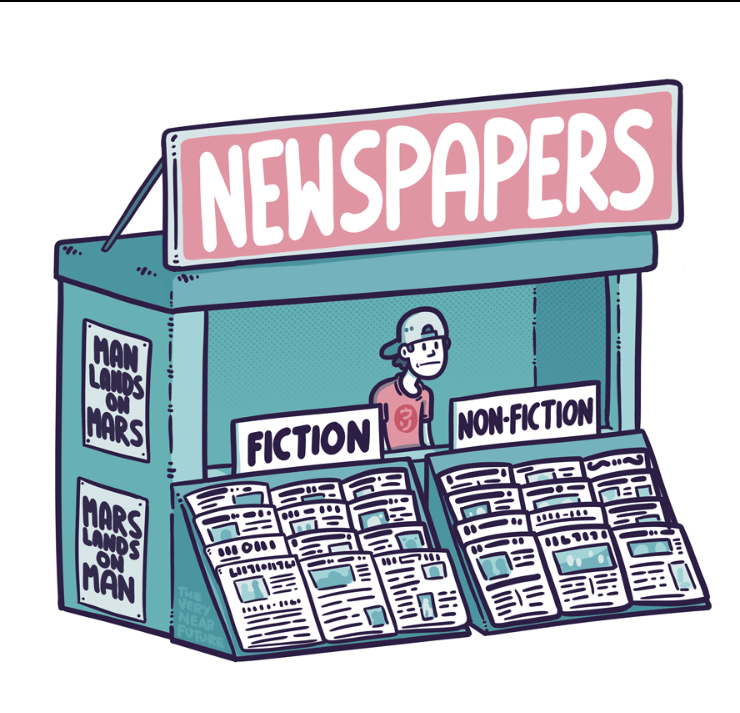 An acknowledgement by tech giants like Facebook that their algorithms had no solution to the viral dissemination of misinformation and that humans – journalists and factcheckers – are needed to assure some semblance of trust in the dominant information platforms that humanity increasingly uses to access its information provided another spur to reassess support in this area. There has been a marked response from several foundations, most notably at the time of writing the news that George Soros is transferring $18 billion to his Open Society Foundations, whose Independent Journalism Programme has been one of the most vital supporters of independent media internationally. Other foundations spending or reprioritizing this area – including in their international support – include the Omidyar Foundation, Ford, MacArthur, Rockefeller and Bill & Melinda Gates Foundations. Regrettably, there are very few substantial non-US foundations in this area. But the challenge confronting media support is not just money. It is also strategy. A friend of mine characterizes the challenge of assistance in this area as ‘messy, political and difficult’. It has also historically been beset by different, sometimes competing, world views, results frameworks and an unusual degree of faddism and inconsistency. Communication and lesson learning between foundations has greatly improved in recent years, but the complexity and scale of the challenge require better communication, evidential foundations and strategic clarity. Philanthropists in this area tend to have quite distinct philosophies and expectations of what their support will achieve. For some, the aim is to support a free and independent media in and of itself. But the challenge confronting media support is not just money. It is also strategy. Others tie their support to advocating specific development or other agendas they want to see advanced. Still others link their support to improving accountability of governments to citizens, peaceful elections, empowered citizens or other specific democratic or governance benefits. Some focus on innovation and digital media, others on support to investigative journalism. Some provide strategic grants, others investments, still others project support. Some support media content, others training and capacity building. Some invest and support over the long term, others just for a few months. The research base capable of guiding strategy and determining what works and does not work in supporting independent media internationally is in general inchoate and siloed. The different dynamics at work and the intricate and involved relationship between them – media business models, journalistic ethics, societal dynamics, political and power relationships, individual and social psychology (particularly around issues of identity and belonging), governance, technology and economics – present formidable challenges and are the example par excellence of the need for an interdisciplinary approach. There are limited signs that such an approach is emerging. There is much to be said for diversity. It means that a range of strategies, organizations and financial models are available to support independent media. Another strategic challenge is connecting philanthropic donor efforts with those of government and UN donors. The US government has historically been the largest financial supporter of independent media but the EU and other bilateral donors, like Sweden, Norway, Switzerland and the UK also have traditions of support to independent media. UNESCO is the formal lead within the UN system on media support but its budget is small and shrinking – and likely to shrink further given the recent withdrawal of the US from UNESCO. Dialogue between private philanthropic and these donors is minimal. There is much to be said for diversity. It means that a range of strategies, organizations and financial models are available to support independent media. But there are very few fora for debate and dialogue that can inject some semblance of coherence to it. Meanwhile those forces bent on undermining democracy by manipulating media and information spaces are arguably far more focused, strategic in their intent and effective in their impact. 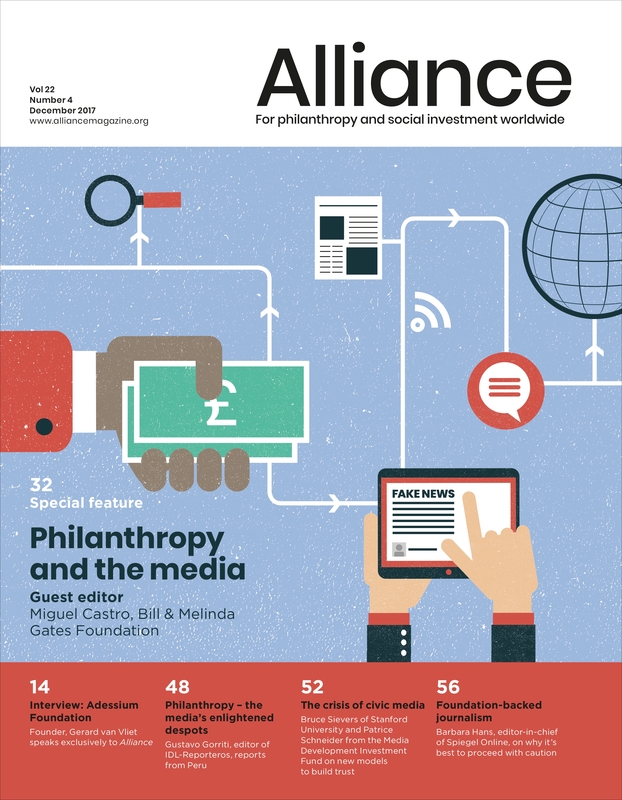 Philanthropic donors who have an interest in supporting independent media do not need to always agree with each other, but they all should have one thing in common – their commitment to democracy. Greater information sharing, lesson learning, strategic dialogue and commitment to mutual understanding is increasingly urgent if we have any hope of addressing the scale of the challenge.